Playing and watching movies in DVD discs in Mac OS X Mavericks system can be such an easy feat, especially if you have all the tools and software necessary for the job. You can play DVD on Mavericks with its built-in media player, QuickTime. But during those few times that QuickTime fails, it could be necessary to find an alternative. Indeed, there are several software that can play a role as DVD players in Mavericks system, which will work much better than the Mac OS X built-in player. A good example of such is the Aimersoft DVD Ripper for Mac. This software can rip and convert DVD files to almost all formats recognizable by the Mac OS X Mavericks. Download the installer, run it, and load the software. Insert the DVD disc you want to watch on your computer. When the DVD Ripper for Mac is running, click on File and then Load DVD. That step imports the file in the system’s memory. Dragging the DVD file into the software’s user interface will also work. For loading DVD movies including the menus, you can go to Preference, then Advanced, and then Load Contents in a DVD. Select All Titles and all functions should work. Once the DVD file is successfully loaded, the movie’s title will be seen on the left side of the screen. To play it, simply click on the file. Note that the movie will start playing on the other side of the interface. 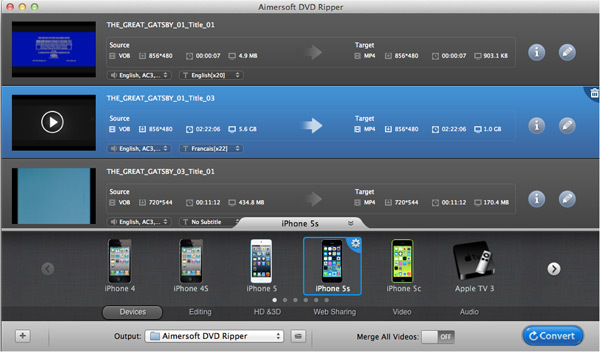 Simply switch to full screen mode to start enjoying the movie with the Aimersoft DVD Ripper for Mac. More than just being a functional Mavericks DVD player, Aimeroft DVD Ripper can also extract and convert movies from the DVD disc. It is designed to work with all kinds of DVD files and then store the extracted movie into your computer in the format of your preference. It can easily convert DVD files into MP4, WMV, AVI, and the others. Aside from movies, the Aimersoft DVD Ripper can also extract the audio tracks from the discs and then convert them into MP3, WMA, and OGG files, among many other choices. It can also conveniently transform any DVD movie to fit the screen and the memory capacity of the iPhone, iPad, iPod, and Android devices. Editing and touching up your movies before converting or saving them can also be done in just a few clicks. Playing DVDs on a Mac OS 10.9 system will eventually become a common activity. As Mavericks is slowly transforming into a fairly known and established operating system, software providers are starting to release their respective patches so that their media players can function well with this new platform from Apple. However, because Aimersoft is one of the firsts to make their DVD Ripper for Mac work with the Mavericks, it becomes one of the most trusted software in DVD ripping and conversion for Mac. 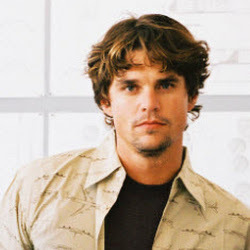 Furthermore, because of its fully loaded features, users need not look for any other product. This software will function as designed will all the other tasks you may have in mind. Aimersoft DVD Ripper for Mac performs ultra fast, works with almost all formats, functions well with portable players, allows for conversion, and makes room for video editing or personalization. Users can also make snapshots out of the DVD movie and save it in the JPG format using this software. Options to adjust the resolution, bit rate, and encoders are available as well, making it a very handy tool for advanced users. 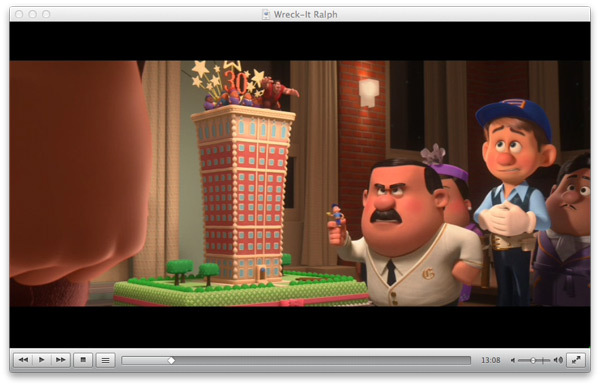 The VLC player remains to be the best free DVD player for Mavericks. What’s more, it has got a version for almost all types of operating systems, including Windows, Linux, and even Android. Aside from DVD discs, it can also handle live streams, audio CDs, and the much older VCDs. HandBrake is yet another popular DVD software today, as it can not just playback different DVD movies and video files but also helps users rip and convert those files into different formats. HandBrake is a freeware, thus adding to its appeal to Mavericks users. However, the only limitation of this software is with encrypted DVDs. Like Aimersoft, MplayerOSX can also play DVD files on a Mavericks system. It can play almost all other types of audio and video files, while also being able to extract movies that are recorded using a smart phone or a camcorder.